Arkansas Butterflies and Moths continues the nature series created by Carl Hunter for the Ozark Society Foundation with his popular field guides Wildflowers of Arkansas and Trees, Shrubs, and Vines of Arkansas. Species identification is facilitated through detailed text entries alongside full-sized photographs. And, for the first time ever, all butterfly species in the state are included. Many live photographs and shots of larvae are used, and butterfly gardening and prime butterfly-watching locations in the state are covered. 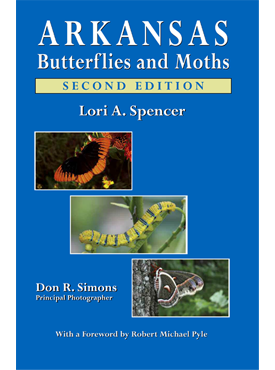 In total, 264 species descriptions are included. 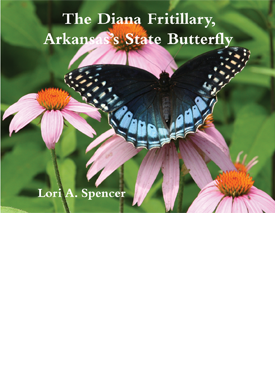 Lori A. Spencer is a professional entomologist, lepidopterist, and certified heritage interpreter whose nature programs are in wide demand throughout Arkansas. Distributed for the Ozark Society Foundation.